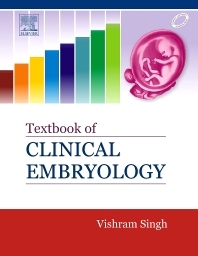 Textbook of Clinical Embryology faithfully follows the syllabus of Embryology recommended by the Medical Council of India. It covers in detail all the developmental events in prenatal period. Following recent trends in medical education, this book in addition to basic information also provides knowledge on embryological and genetic basis of clinical conditions through its features of Clinical Correlation and Clinical Problems. With the wealth of relevant knowledge, this book is ideal for undergraduate medical and dental students and it is highly recommended for students preparing for various entrance examinations like PG entrance, USMLE, PLAB, etc. Meticulously designed, accurate, simplified, and easily reproducible four-color illustrations form a unique feature of this book. Clinical Correlation integrated in text highlighting practical application of embryological facts; an approach increasingly being adopted in medical teaching. Detailed description of gametogenesis, fertilization, and organogenesis. Molecular and genetic basis of embryology and birth defects also discussed. Developmental events during entire gestation period given in a sequence in the last chapter for quick recall and application in day-to-day clinical practice. Overviews, tables, and flowcharts summarize the text and present complex data in a simple manner. Additional information of higher academic value presented in a simple way in the form of N.B. to make it more interesting for readers, especially the aspiring postgraduates. Provides problem-based clinical and functional perspective at the end of each chapter to initiate interest of students in problem based learning (PBL). Important facts useful for candidates appearing in various entrance examinations like PGME, USMLE, and PLAB listed under Golden Facts to Remember. Multiple Choice Questions at the end of the book for self-assessment of the topics studied.